I was a really good student in high school. I did all of my homework, I memorized all the material that I needed to memorize, aced all standardized and multiple choice tests, and was a strong writer. I was like a super student. But was that enough? I graduated from high school with a 4.0 and no concept of failure. When I went to college, life changed for me. I didn’t have the structure that I was used to having, and I didn’t always know how to manage my time wisely. When I signed up for that trigonometry class, I didn’t realize how difficult it would be for me. I didn’t have a background in high school level calculus, but I had breezed through college Algebra. When I was struggling, I didn’t know how to handle it. When I got a B in that class, I decided that maybe math wasn’t my strong suit after all and that maybe it was impossible to double major in math and English, my two favorite subjects. Maybe, I thought, my brain just couldn’t handle the switching back and forth. Of all the things that I wish I had learned in high school, I wish I had learned the value of struggling, the power in fighting through, and the fact that a B didn’t mean that I was incapable of moving forward. I didn’t learn that the real lessons in life, the ones that would leave me feeling empowered and capable, came from the struggle to learn and the gumption to keep going even when things were difficult. I didn’t learn to use my resources, to ask for help, or to not associate my worth in a subject by the grade that I received. I found myself believing that if I didn’t know something already that it wasn’t necessarily worth learning, that school wasn’t about learning but about getting an A. I gave up on my aspirations to be a math professor and an English professor because I gave that one B the power over my future. Now, as a facilitator at Rogers New Tech, I tell my learners all the time that the grade doesn’t matter. Lots of people disagree, but in the end, no one that matters cares what score you received on a test or even what your transcript looks like. Employers are looking for people who can struggle, who can work with others, who can learn from their mistakes and grow. I don’t think grades should matter because a letter grade is all about the final destination instead of being about the journey. Learners see a grade and they think finished, done, complete. 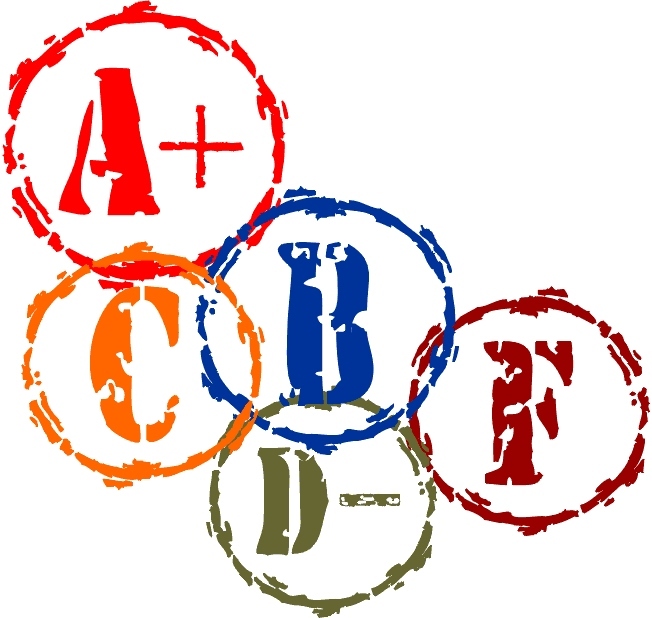 If the grade is an A, then there is no way to improve or get better. If the grade is a D or an F, then why should they keep trying? What’s the point of moving forward if all you are doing is fighting back from that F? F means Fail after all, so why even attempt to persevere? Really, grades don’t matter that much, but the skills that our learners are learning will stay with them, preparing them for whatever their future holds. I won’t ever tell kids that their grade is a representation of who they are. As human beings, an A or B or even an F should have little bearing on the people that they become. That B that I received in that trig class didn’t mean that I couldn’t move forward, that I wasn’t prepared for Calc 1. The only thing that that B meant was that there were skills that I needed to further develop in order to get better. If instead of seeing that B as a failure I had seen it as an opportunity to grow, who knows where I would be?